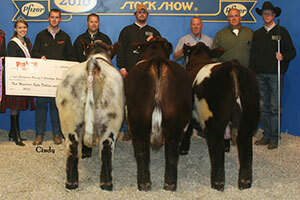 SULL Shorthorn bulls are appreciated from all segments of the beef industry. 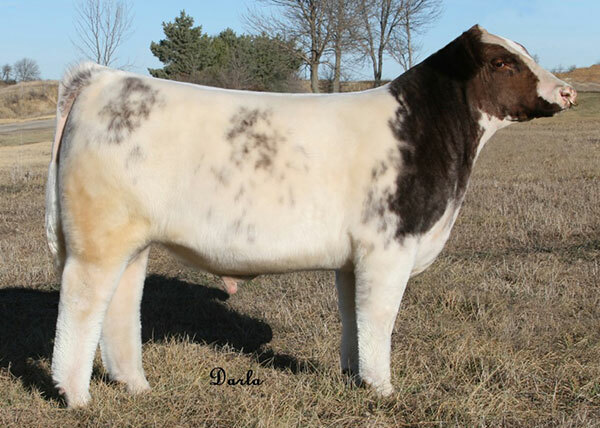 We are proud to offer Shorthorn bulls with a diversified gene pool and the quality you demand. We feel it is our position to provide you with as much information as possible in assisting you in making your genetic decision on your next herd bull or AI sire selection. Thank you for your interest in our bulls and we welcome your inquiries for more information. From the show ring to the pasture, a stand out. His first calf crop are sound, big bodied, with a modern look. Twenty-three head averaged 83 lbs. at birth. 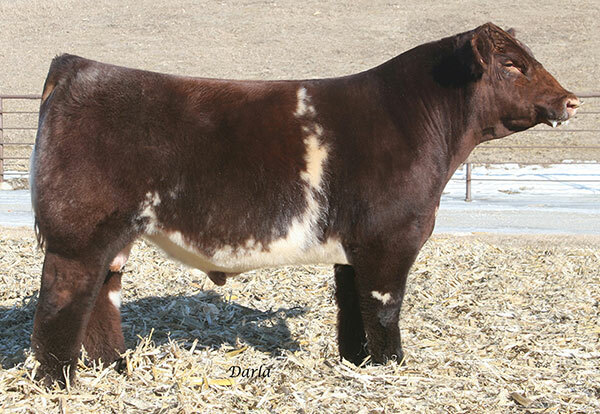 One of the most ideal Shorthorn bulls we have ever raised. He is right on paper and right in the flesh. Red Ransom possesses the balance and the optimum middle of road trait in every basic function needed in producing superior genetics with an extra shot of balance and eye appeal. 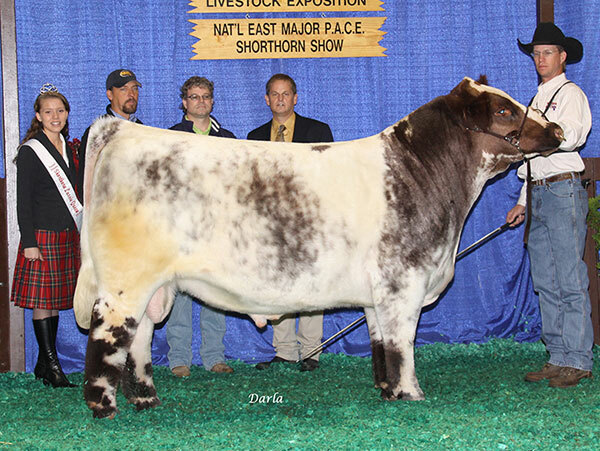 His sire and dam, owned by Mark Gordon, are two of the most consistent Shorthorn producing animals in the modern era. The breeds dominate sire of structure, phenotype and fleshing ability. One of the most unique bulls I have ever seen in the Shorthorn breed. 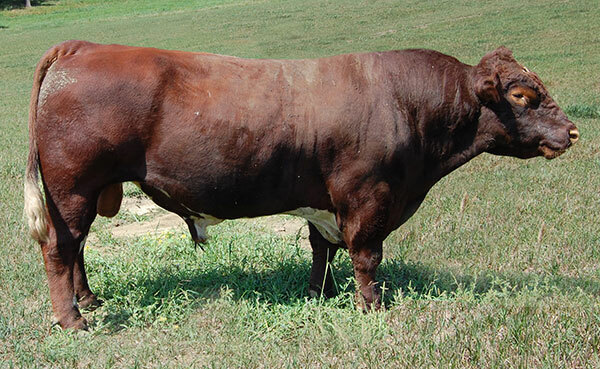 Demand Soundness possesses breed-changing characteristics. 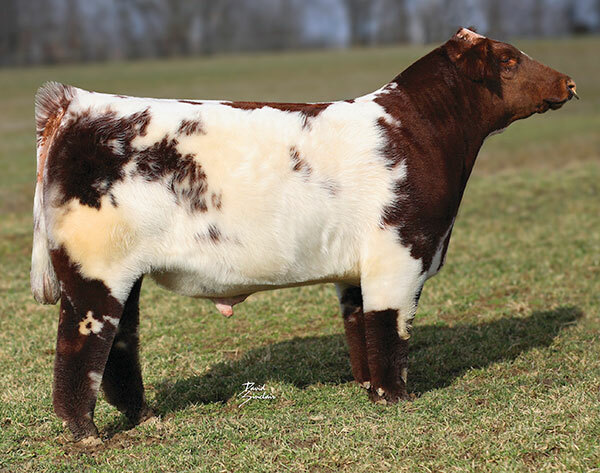 His tremendous data figures coupled with his phenotype, belly dragging looseness, yet possesses the look to produce the ever popular Shorthorn show heifers. 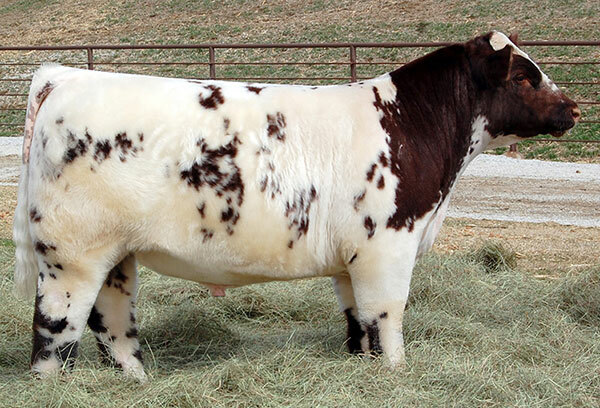 Can you imagine his progeny on the sharp featured Shorthorn cows that are prevalent in this breed? His dam, K-Kim CJ is also the dam of Denver Champion K-Kim Payton. 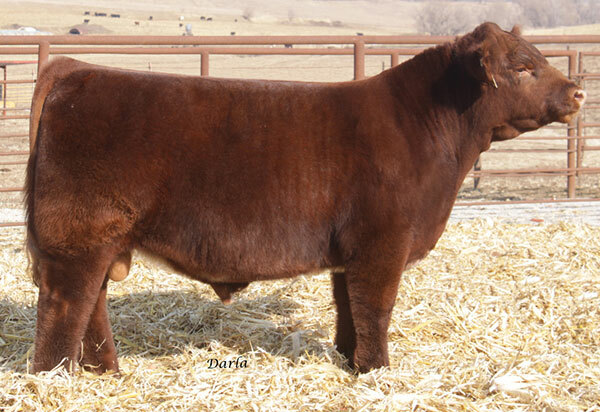 Here is a red stallion that may have been the most popular bull in the Denver yards. The lead bull in our Pen of Three and out of the dam of SULL Muscle Man. Remarkable flawless design and structure in a red blooded color pattern. He has the ability to produce cattle that are in high demand. Imagine what the show heifers will look like out of Red Stallion and the Solution, Asset, Trump, etc. bloodlines. Wow! Sullivan Farms is happy to announce we have purchased Payday back form Cannondale Farms. A special thank you to Tom Bryant for allowing us to buy him back for more extensive use in our program. Can you imagine what a group of females SULL Copper Top will sire? Lead bull in our Champion Pen of Three at the 2011 NWSS. A maternal sister to Hannah Moore’s Division III Champion at the 2011 NWSS and a full sister to the many time champion heifer for the Sennett Family of Indiana. 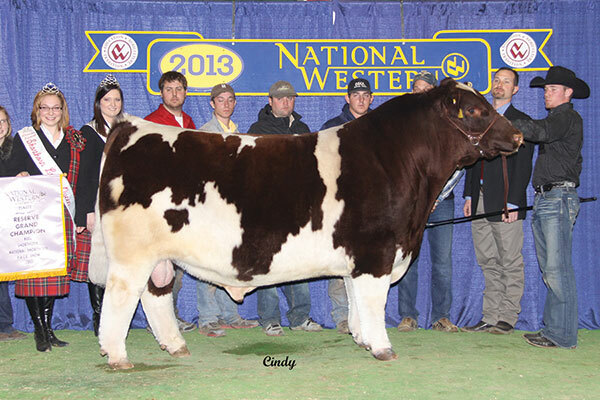 His dam, 435, is truly one of the breeds super cows and has certainly proved her worth in our 2010 calf crop. 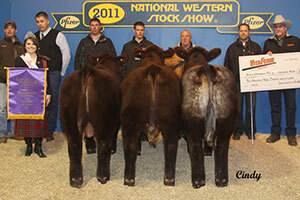 SULL Copper Top had the second largest ribeye of the March/April purebred bulls at the 2011 NWSS Pen Show. Remarkable outcross genetics here with Red In Focus. This type of individual possesses this quality wrapped into a completely new genetic pedigree could make SULL Red In Focus a household name for years to come. 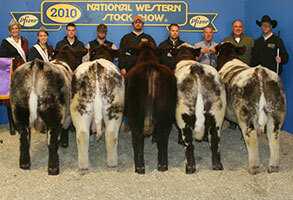 Lead bull in our popular ShorthornPlus Grand Champion Pen of Three at the 2011 NWSS. Breed changing genetics. Outstanding data, phenotype and refreshing pedigree. 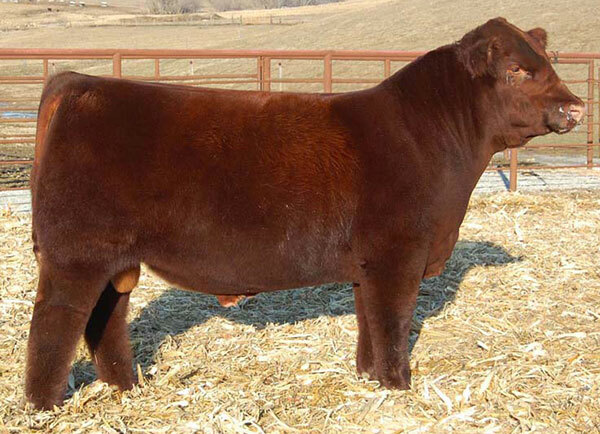 7/8 ShorthornPlus. His progeny will be purebred out of purebred females. 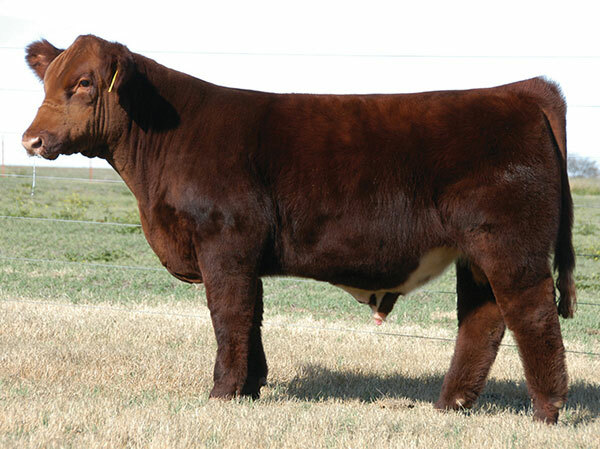 SULL Red Savior 0492 is of the most complete herd sires to be offered in 2011. Tremendous birth weight to yearling spread. His maternal brother had an unheard of 9.0 IMF scan. His dam was our pick of the Rob Sneed cow herd. This well put together outcross birth weight reducer will see heavy use at Sullivan Farms. 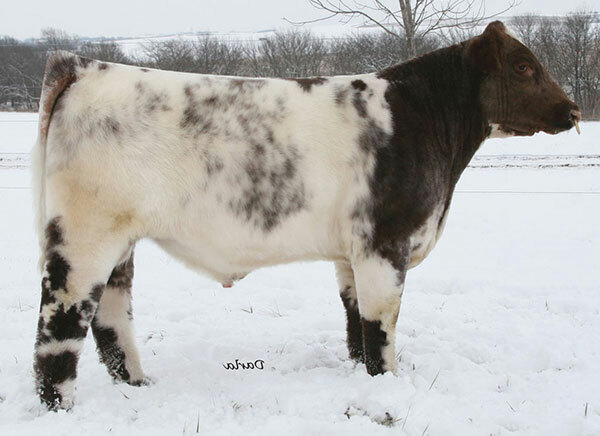 One of the most unique Shorthorn sires you will see this year. Stout, compact, yet sound. It is hard to make animals this compact and powerful and yet have the reach and mobility that this young stud possesses. One of the most talked about bulls in the Denver Yard Show of 2011. 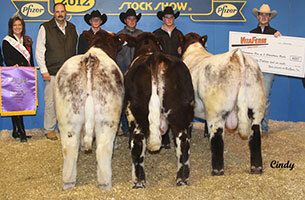 Owned With: Terry Strade Farms, Inc.
SULL Traveler is dominate breed bull potential. 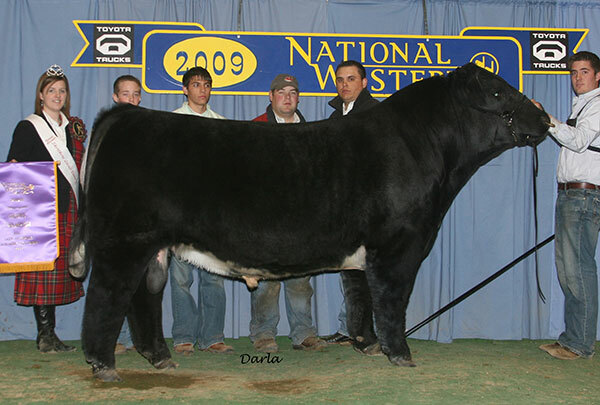 Grand Champion Bull at the 2011 NAILE, American Royal and NWSS. Traveler has the perfect foot, phenotype and easy fleshing ability in a well bred packages. 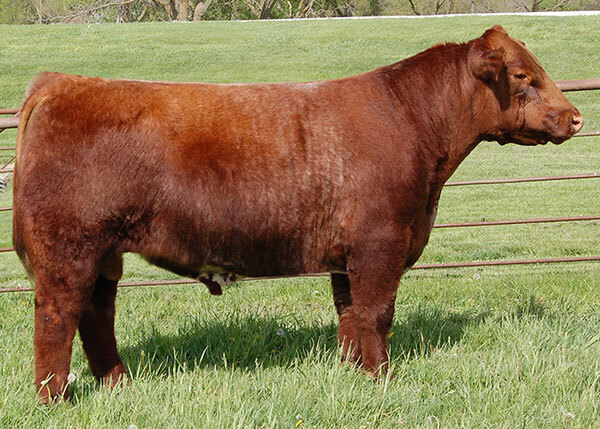 Owned With: Red Reward Syndicate – Circle H, Rockin G Land & Cattle, Josh Rust, Fowler & Hank, Barry Nowatzke, Dennis Moore, Greenhorn Cattle Co., Rodney Rod, Brian Burt, and KOLT Cattle Co.
His progeny will be purebred out of purebred females. A refreshing new pedigree twist. The potential to be a breed leading calving ease sire, yet an awesome enough individual to use on your best cows. He is as complete made as any calving ease bull prospect as I have seen in quite a few years. 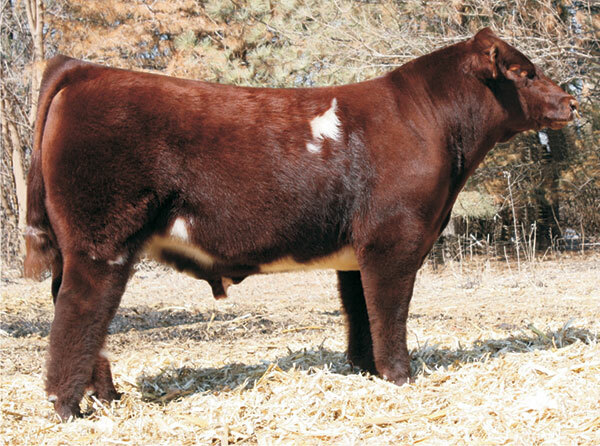 This bull can change the value of your bred heifer calves or cows. He will see heavy use in our program in the future. His progeny will be purebred out of purebred females. The Red Advantage X KL Double Duty merger provided us a unique bred individual with the basic functional traits we demand with the phenotype and structure we desire. All in a strong, birth weight pedigree package that is an outcross to todays popular bloodlines. Proven pedigrees, yet new in a promising combination. His progeny will be purebred out of purebred females. 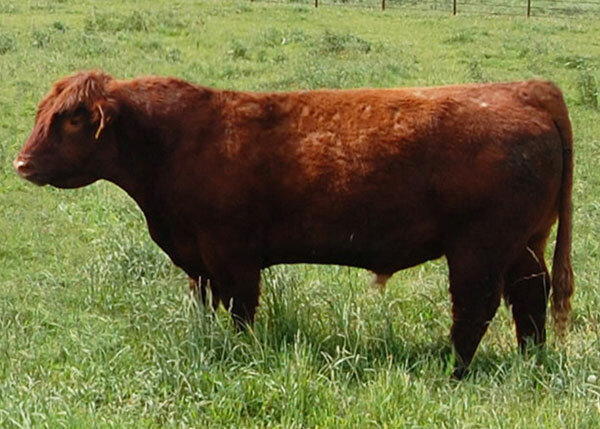 Big bodied, stout structured, easy fleshing bull with exciting phenotype and balanced traits for breed improvement. 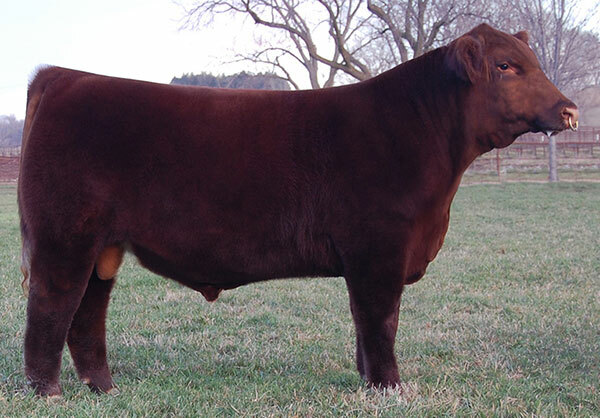 The Red Advantage calves have the completeness and practicalness to be used in our breeding program for years to come. His power house dam is a full sib to JSF Real World. Powerhouse outcross genetics. Big bodied, moderate and sound. Primetime balances the traits that will move the breed forward! 2008 National Champion Bull with incredible carcass data. Huge Rib Eye way above the breed average IMF numbers. 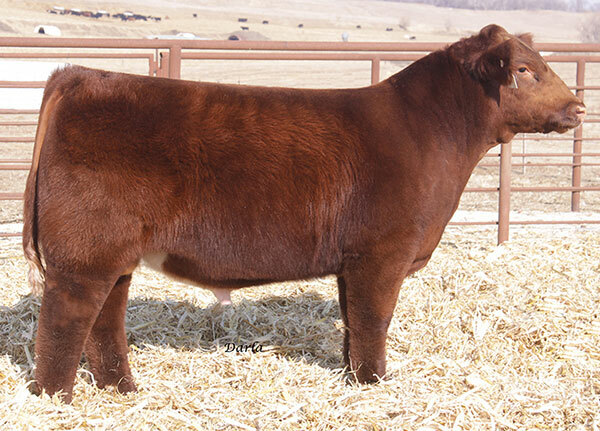 Primetime is a full brother to SULL Basic Needs and SULL GNCC Solutionist, the 2007 Reserve National Champion Bull, and SULL Achiever 8129, the many time champion for Greenhorn Cattle Company. SULL Primetime blends the best of the basics with flawless phenotype and pedigree. A sharp-featured roan powerhouse from the breed’s best ancestry. Breeders involved in the Grey Goose syndicate have had outstanding calf sales and reports on. His first calves are incredible. 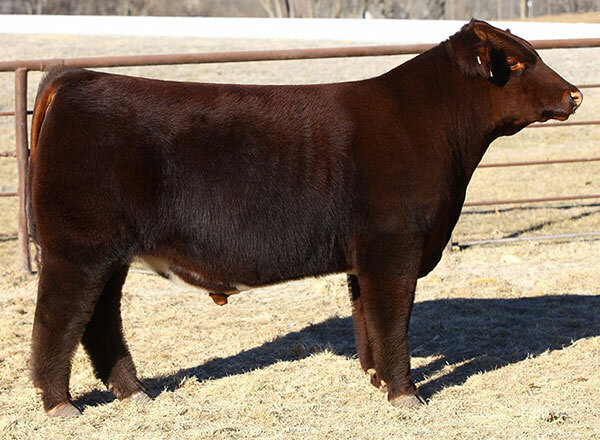 Eldorado is a big-footed, stout, sound-moving, beef bull from the powerful Mona Lisa 35L cow. 35L has established herself as the dam of breed leading heard bulls and Eldorado is one of, if not the most popular young sire of the breed. Consistently throwing the right phenotype with loads of mower and massive structure. 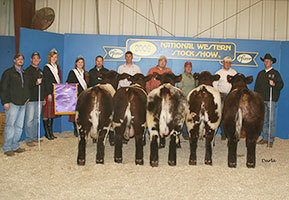 National Champion ShorthornPlus Bull, 2007 National Shorthorn Show. A true beef bull. Red Advantage bears a strong resemblance to his maternal sire DMCC Limited Edition. 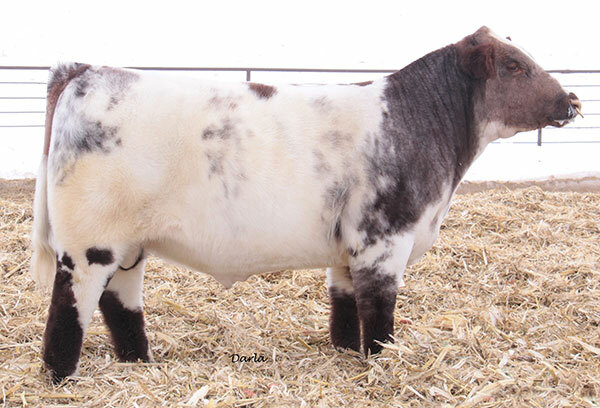 Limited Edition has single handedly improved the acceptance of the Maine-Anjou cattle in the commercial industry. His 0.9 BW EPD with a 86% accuracy puts him at the top of Maine-Anjou birth weight figures. He is also in the top 15% fro REA and top 20% for Marbling. 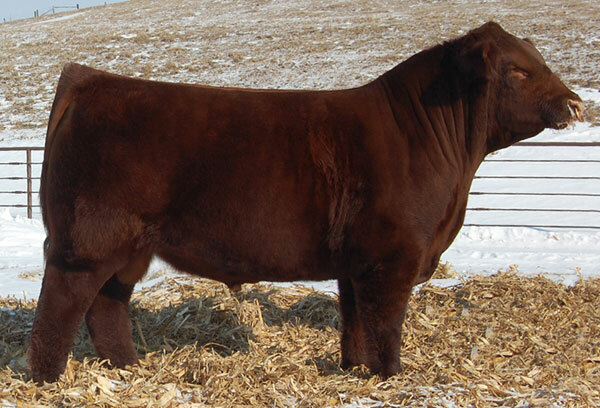 Red Advantage’s sire, Contender, is in the top 3% for Marbling and top 5% for Fat. 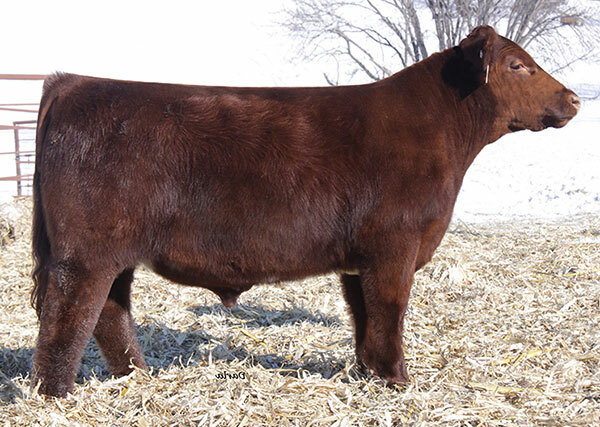 Solid red, powerfully constructed outcross genetics in a moderate birth weight pedigree. A unique opportunity for our program to put Red Advantageʼs proven genetics to work in our program. His first calf crop is now on the ground and we couldnʼt be more pleased with the results. 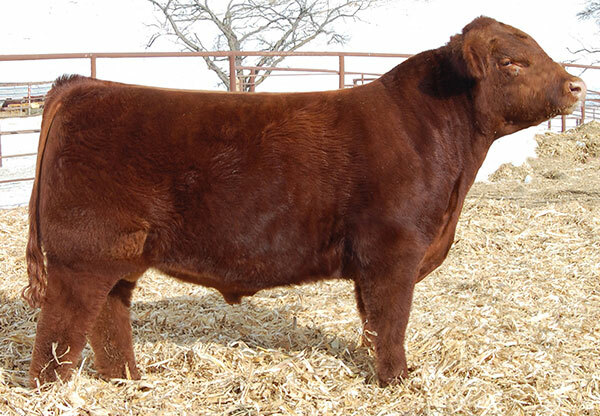 Red Advantage is the new force that is going to make a positive impact on the Shorthorn breed. We are excited about WHR Code Redʼs outcross and fresh genetics we recently added to our program without sacrificing quality or structural integrity. He will maintain the maternal characteristics that Shorthorns are noted for and add a solid set EPDʼs from birth to yearling. His sire, DF Pure Gold 3N is setting the pace in Canada. 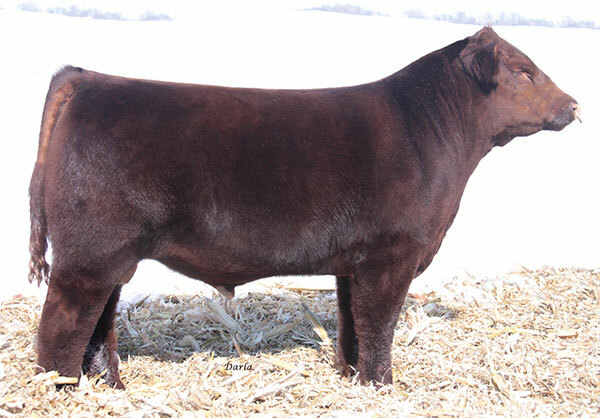 Code Red offers outcross, proven geneticnorth of the border. Genetic predictability here. A young up and coming herd sire heading up Cyclone Trace’s program. 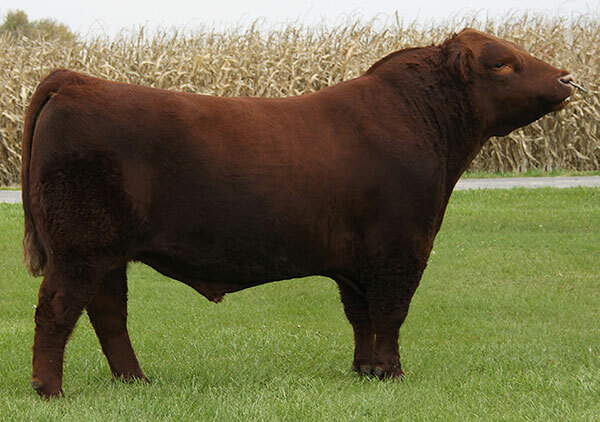 A full brother to the dominating breeding bull CF Solution X *x. Cyclone has a remarkable similarity to his famous older brother. 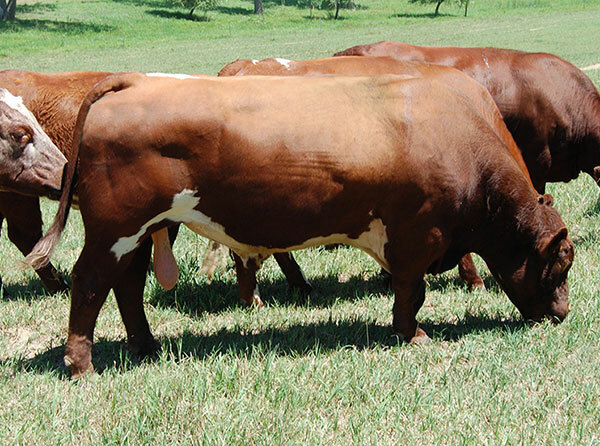 The structure, large testicles (37 cm at 9 months of age) combined with the rib shape, mass and same feet and structure package this cow family is noted for. 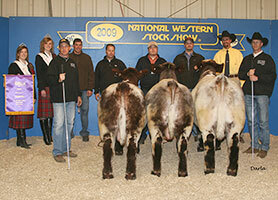 Full sisters include, 2007 National Champion SULL Rose Mary; 2007 Louisville Champion, CF Roan Rose; and Reece Klugʼs popular SULL Red Rosemary. Massive made, stout hombre. One of the popular members of our 2009 Denver Champion Pen of Five. 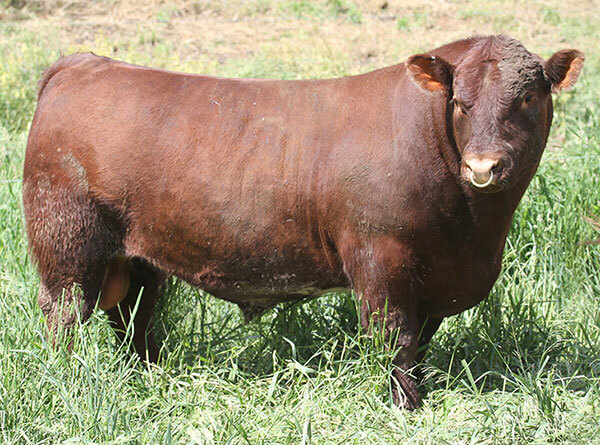 He is a tremendously wide based, thick topped and huge hind quartered Shorthorn bull. Massive from top to bottom in an eye appealing package. 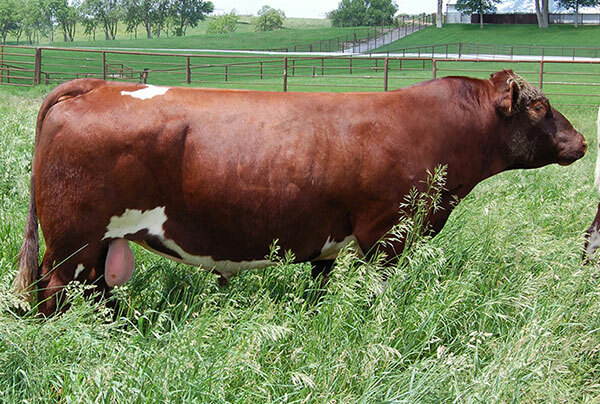 If you need to power up your cow herd, SULL Beef is the answer. 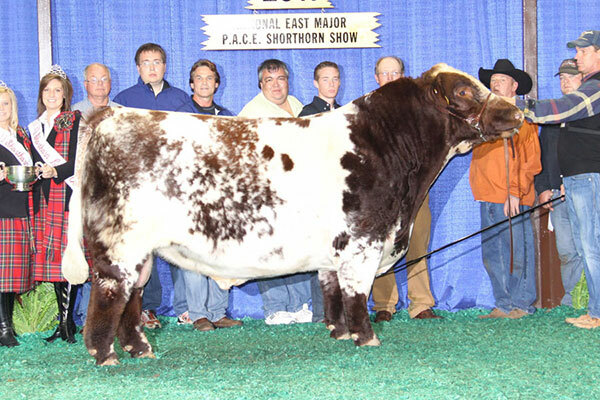 2006 National Champion Shorthorn Bull. The complete made outcross bull you’ve been looking for! The eye appeal, the soundess, the overall dimension, we have yet to see from an outcross bull. A big solution for softness and stoutness combined. 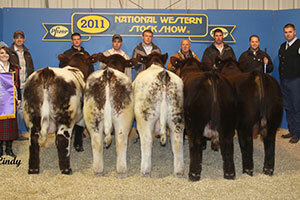 2008 National Champion ShorthornPlus Bull (NAILE) and Grand Champion Bull, 2009 NWSS. Blue will leave an impressive set of daughters yet has enough muscle to mass up your cow herd. 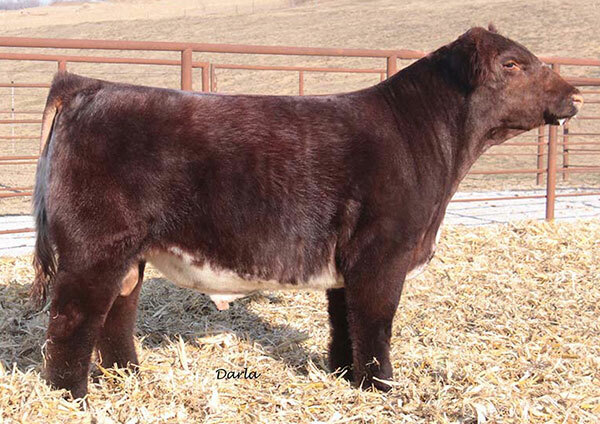 A full brother to two of the most accomplished ShorthornPlus females of all time – SULL Pure Hottie and SULL Breathless. A dominating sire that produces the basic traits we desperately need, depth of rib with easy fleshing ability, perfect structure, moderate BW, good feet & large testicles, yet his progeny maintains a great deal of eye appeal. What is that worth? Solution is a breeding phenomenon. In an industry full of inconsistencies he assures consistency. 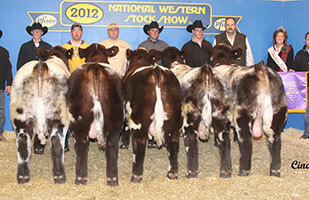 The Shorthorn breeds next great breeding bull… come look at his progeny. They are the reason for our convictions.